I still can’t believe I will be running the Nike Women's marathon in October. I’m nervous, but so excited! I've never ran more than 5K, so running 13.1 miles is going to be quite an accomplishment for me! Like most beginner runners, I started out running only a mile or two at a time and it was tough! I got side stitches, took walking breaks, and experienced plenty of frustration. Running long distances is not easy! But I've been keeping with the schedule Nike Women have customized for me and pushing myself to run farther each time I go out for a run. Today I ran my farthest at 8 miles! 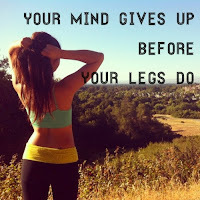 It was tough towards the end with the heat already hitting 31 at 8am, but I kept repeating my favorite running mantra in my head to motivate me. “Success isn’t how far you got, but the distance you traveled from where you started.” It always helps get me through the hard parts. 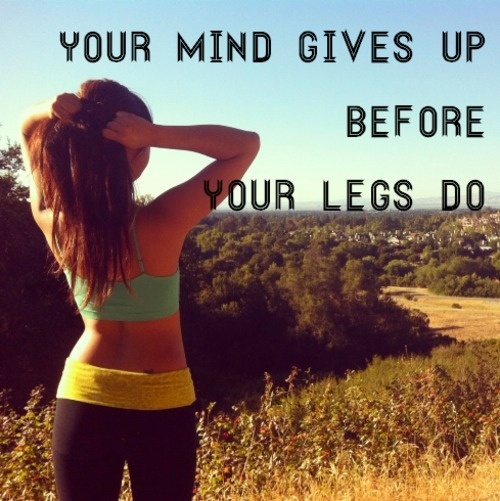 Most of the time, running is more mental than physical for me. Another motivating factor, this Thursday NikeWomen sent me a second care package full of training gear and the cherry on the top if you will a Nike+FuelBand - The idea behind the fuelband is simple, to measure, track and compare your athletic and normal activity over days, weeks and months. Keeps track of four metrics: time, calories, steps and NikeFuel, which Nike describes as “the ultimate measure of your athletic activity.” Not only that, but it doubles as a futuristic-looking watch, all at the click of just one button. It's definitely a neat gadget to help get you off the couch and become more active. Unfortunately it's not available in Canada until fall, so most of you reading will have to wait to grab on of these. Today I set my goal at 5000 and as you can see, I'm almost at my target well before midnight when it resets. So excited that you got a FuelBand. Way to go big with your goal today! It's a lot of fun and really keeps you moving so you reach your goal.